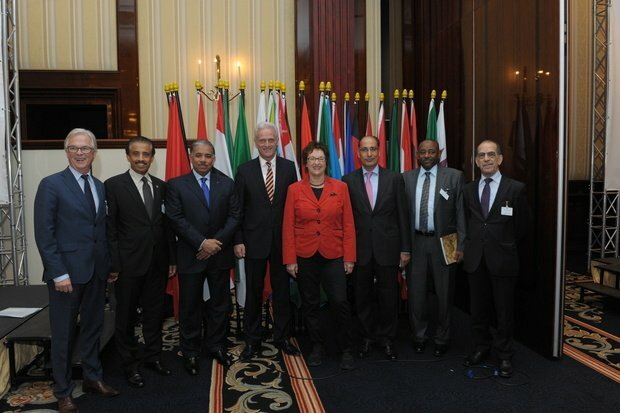 German and Arab energy experts met in Berlin to discuss projects and cooperation. 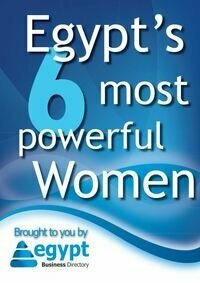 Egyptian representative talked to Egypt Business Directory about it. The Arab-German chamber of Commerce and Industry, Ghorfa, organized last November the 6th Arab-German energy forum in Berlin. The forum hosted more than 300 Arab and German participants operating in the field of Energy for exchanging expertise and establishing cooperation. Omar Sherif, business development executive of Green Environment Consultants Egypt talked to Egypt Business Directory about the forum. What were the main themes discussed in this year's version of the conference? This year the forum focused on the energy transition and topics related to it like smart grids, energy security and efficiency as well as the water and energy nexus and framework and financing in the field. The main aim was to exchange knowledge between German and Arab companies working in the energy sector to develop perspectives for this crucial sector and cooperate in the various projects in this field, especially in the vital Middle East region. Who were the most prominent participants? Energy tycoons of the Arab world were represented like QSTec ( Qatar Solar Technologies) , Al fanar group, TERRASOLA Group, Steag Group and Cube Engineering Group. Was Egypt well represented in the forum? Well, not many private companies were present. I can recall Al-Alamya Trading Energy Systems Components, Terra Sola Egypt and Orascom constructions participated in the forum, however there was a governmental presence as well from the petroleum and tourism ministries. Mahmoud Farag the undersecretary for agreements and exploration of the Egyptian ministry of petroleum and mineral resources regarding the possible investment opportunities in the Egyptian market in the renewable energy sector and also in the oil and gas fields. Based on the forum, what do you think is the situation of Egypt in the Energy market? The majority of the German companies consider Egypt a country with great potential in the renewable energy industry. They have amazing ideas and plans for projects and investment in the Egyptian market but the political instability is somewhat discouraging, so they are putting their projects on hold for now. What about the other Arab countries? The enthusiasm of German companies to invest and cooperate in energy projects in the Middle East was overwhelming. Their market is becoming more and more saturated so they are expanding to new markets. They have a clear idea of how to best use the resources of the Middle East to develop their technology and expand in the field. It was quite surprising to see the amazing work of Jordan and the major steps it has taken in the renewable energy sector. We can argue that Jordan was in the lead with great developments in their renewable energy infrastructure projects. Why do you think it is important to participate in those forums? These forums are very important to us as they represent an opportunity for us to be familiar with the latest technologies and projects in a field where Germany is the best. Sharing the latest technologies and services with Middle Eastern partners who are mostly starting in this field is crucial for development. My role in the conference was to advertise and market the services of our company as a consulting group company in the environmental and renewable energy projects in Egypt and the Middle East. Also as every other participant to pinpoint possible partnerships with renewable energy companies/firms to cooperate for working on bio-gas projects in Egypt and some of our projects in Kuwait. Were there agreements signed in the forum? I can speak for my company, we gained a few good connections and contacts for cooperation on our bio-gas project in Egypt and for our future projects in Kuwait. The main lesson we got out of this forum is that we have to expand our work in the Middle East region as it is very promising in the field of energy. Also we appreciate German partnerships as they are the leaders in renewable technologies and the majority of our clients in the Middle East tend to cooperate with German companies.